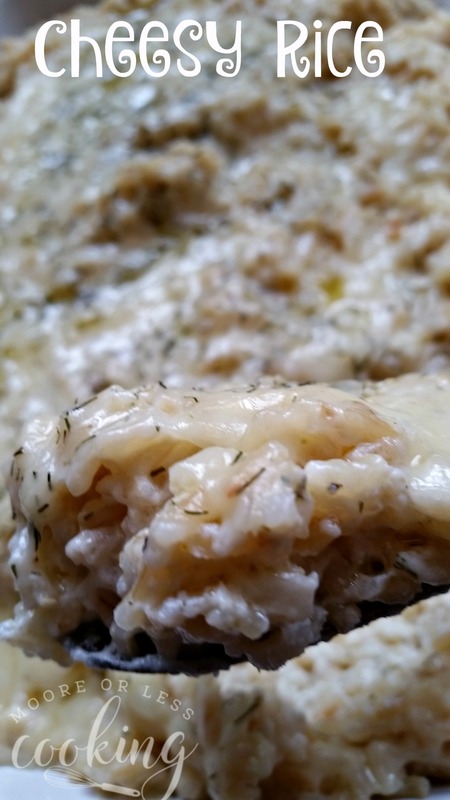 Baked cheesy rice with three types of cheese and moist brown rice makes a perfect side dish. Garlic Herb, New York Vintage Aged Cabot Cheddar cheese and Mozzarella cheese makes a wonderful and flavorful cheesy combination. Sprinkle dried dill over cheese. Bake for 15 minutes until bubbly. 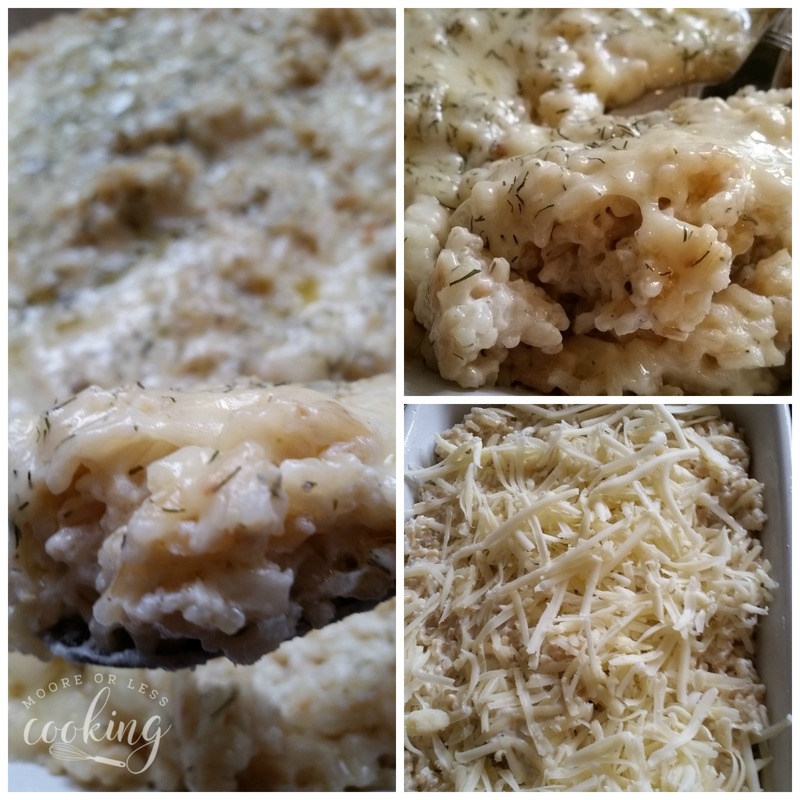 Baked cheesy rice with three types of cheese and moist brown rice is a perfect side dish. Cook 2 cups Minute Rice Brown Rice and 1¾ cups water in a large microwave safe bowl for 7 minutes. Add sour cream, half and half, mozzarella cheese, ½ of the cheddar cheese, salt and garlic powder to the melted butter. 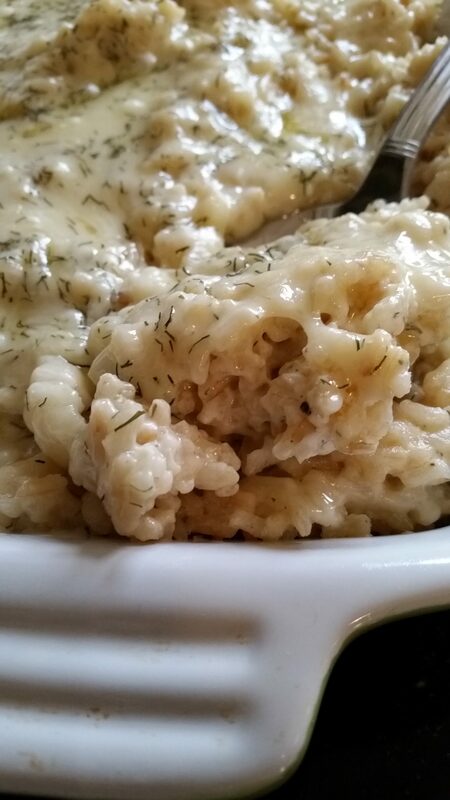 Pour rice into cheese sauce. Mix until all of the rice is covered in cheese sauce. Spray a 1 quart casserole dish with Pam cooking spray. Place rice in the casserole dish. 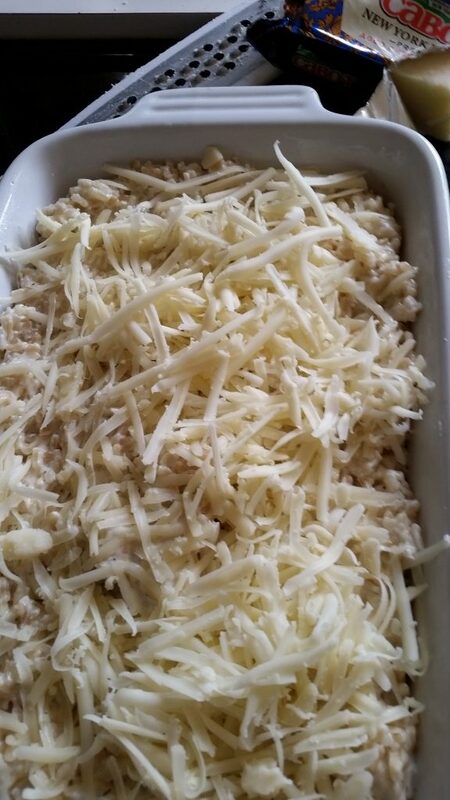 Add the rest of the grated cheese over the top. Sprinkle dill over cheese. Bake in a 350 degree F oven for 15-20 minutes or until bubbly. This post is sponsored by Cabot Cheese. All opinions are my own as always.